Jinha Lee is a designer and engineer working at the boundary of the physical and digital world. He explores ways to weave digital information into physical space and material. This normally involves blending design with physical science or creating highly interactive data visualization softwares. He is also keen on innovating the design process and developing business strategies for helping business of big and small organizations. 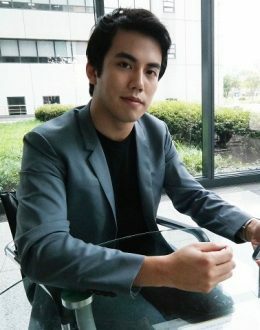 Previously, Lee has co-founded Eone – a tactile watch brand for everyone including the visually impaired, conducted research at SONY and Microsoft, and received his B.E. in Electronic Engineering from the University of Tokyo. His works have been presented and exhibited at major academic conferences and museums, and have been recognized for design and innovation excellence. Jinha was named on MIT Technology Review’s list of 35 young innovators and FastCompany’s list of 32 greatest living designers. In 2013, he gave a TED talk about his inventions including 3D desktop that allows users to reach inside the screen and a levitating interface. In August 2014 Jinha was selected as a winner of TR35, MIT Technology Review’s list of 35 Innovators under 35. In 2015 he launched TIZEN OS for TV at CES and was Selected as a Young Global Leader of 2015 by World Economic Forum (WEF).